Information in the universe may be communicating in an instantaneous way. Where everything is actually talking to everything instantaneously, across all scales. Submerge into Humanhood’s hypnotic and powerful piece ‘ZERO’. 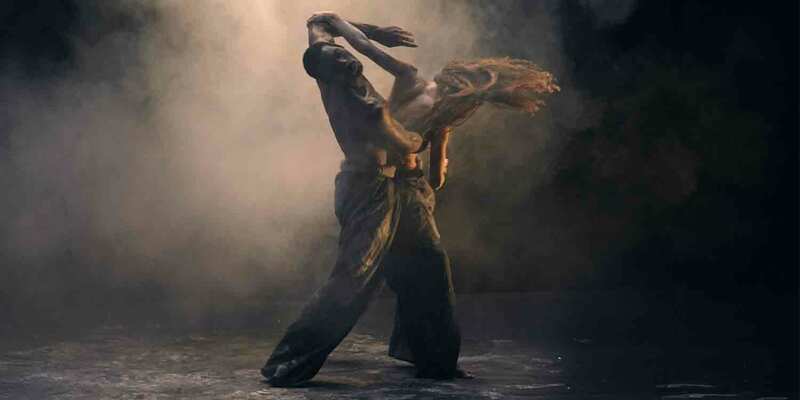 A visually and sonically mesmerising performance of immersive sound, hypnotising lights and virtuosic movement where the two dancers entangle through a ritualistic journey. Experience a spiritual dance and get transported into a dream-like world of imagination and beauty. If we started at point zero, how would we look at reality and experience life? Two individuals dive into a sea of energy, reconnecting with identity.